2013 San Francisco 49ers Preview – How Close Are They?? 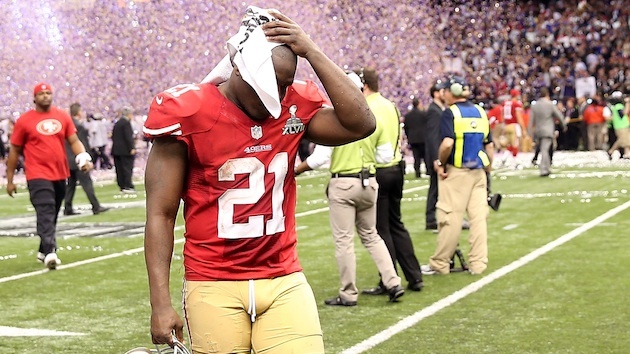 Frank Gore heads off the field after a Super Bowl XLVII defeat 34-31 to the Ravens. When the Super Bowl confetti was falling to the turf after Super Bowl XLVII, it rained purple and gold for the Baltimore Ravens. For the second year the 49ers were whisked off the field having lost to the NFL champions after just falling short in the NFC Championship the year before. With the ascension of Colin Kaepernick it looks like San Francisco should be a shoo-in for the NFC West and a return trip to the Super Bowl. Last week, they agreed in principle to trade Alex Smith to the Kansas City Chiefs for a second round draft pick this year and a conditional pick next year. With a stacked roster and draft picks to end the 1st round and the 1st of the second, are they ready for a return trip to the Super Bowl?? 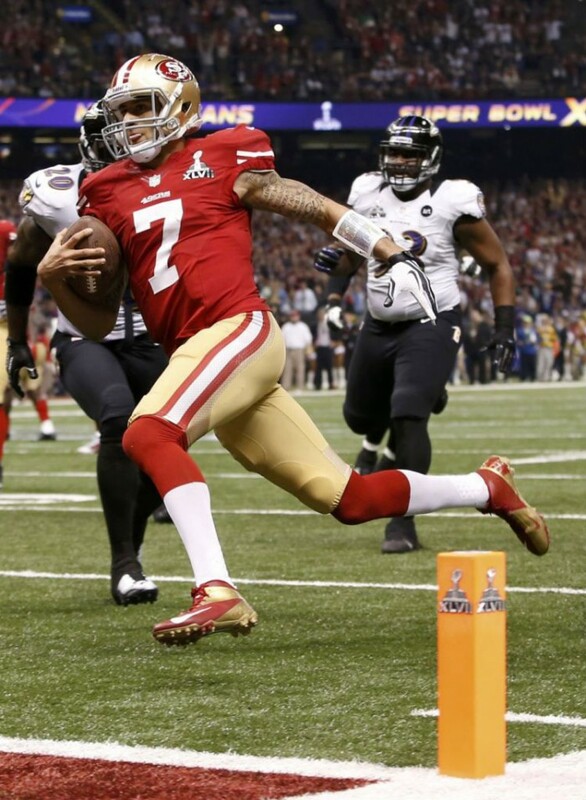 Kaepernick’s 4th quarter scramble for a touchdown to bring the 49ers within 2 points of the Ravens in the Super Bowl 31-29. Quarterback: Now that Alex Smith has been dealt to the Kansas City Chiefs, Colin Kaepernick is fully entrenched as the starter for the 49ers. Right now they have teams in a vice defending the Pistol “read option” which has a lot of built in deception that is getting the best of NFL defenses right now. That split second of indecision allowed Kaepernick to completely scald the Packers for an NFL postseason record 181 yards rushing in the NFC Divisonal round. It’s this burst of spontaneity that keeps this offense productive. Kaepernick’s ability to take a broken play for a 15 yard run along with the called runs has turned football back into an 11 on 11 game. The upside is the illusion that the 49ers don’t have drives that bog down. In the playoffs alone Kaepernick was 49 of 80 for 798 yards 4TDs and 2 interceptions. He only completed passes at a 61% rate, yet when you factor in his 25 carries for 264 yards and 3 touchdowns he more than made up for the offense missed by the incomplete passes. Projecting his playoff stats over a full season would look like this: 245 of 400 for 3,990 yards 20TDs and 10 interceptions while rushing 125 times for 1,300 yards and 15TDs. Now of course the rushing total is distorted because of the monster game against Green Bay until you realize he had 63 carries for 415 yards and 5 TDs in the regular season. He only started 7 games…. you do the math. Going into his 3rd year, it’s a given Kaepernick will improve on his passing. He also showed he can make all the throws whether it was drilling the late breaking in route in a zone or touch passes beyond the linebackers. We saw this in his late breaking development with TE Vernon Davis during the playoffs. What we saw during the 2012 playoffs was a dress rehearsal of things to come however there will be a sophomore slump this year. This is the NFL and the studying of tendencies will bring about new defensive tactics against him. To that he and the 49ers have to stay ahead of the bell curve with offensive wrinkles. Right now San Francisco is playoff calibur at the quarterback position. Offensive Backfield: One huge beneficiary of the new Pistol offense is Frank Gore. There are still running plays where the 49ers line up in power formations but in large part Gore isn’t facing downhill charging linebackers. The Pistol forces teams into 4-2-5 or 3-3-5 nickel variations where the linebackers are a step behind on the front side of the read option. They are not attacking the run lanes like they do in a traditional sense and this will lesson the wear and tear on a running back entering his ninth year. For the first time in many years, Gore looked fresh the entire season. He started all 16 games while rushing for 1,214 yards 8 TDs while averaging 4.7 yards per rush. Frank Gore running a sweep during Super Bowl XLVII. He will have to abide by the new rule that mandates thigh and knee pads this year. The player that will make a move this year is LaMichael James. As the team opts for even more speed to line up next to Kaepernick on 3rd downs and spot duty as a change of pace back. We saw evidence of this in last year’s NFC Championship Game in Atlanta. The team needed a jump-start and James was the guy. He’s a space running back and the Niners use him to get out on the edge and on short screens. He’ll see more playing time this year. Rounding out one of the best backfields in the NFL is Kendall Hunter. This is Frank Gore’s heir apparent and should split time again this season. One of the reasons James was able to see the field was due to Hunter getting injured in week 12. He led all San Francisco running backs with 5.2 yards per carry average last year rushing for 371 yards and 2 scores on 72 carries. He’s only entering his 3rd season and we have to see how effective he is coming back from injury. If everything is a go, he and Gore will share the duties on 70% of the time while sprinkling in James every now and again. By mid-season we’ll here the corporate speak of playing all backs to keep them healthy for the playoffs. Which is true but they will phase Gore out after 2013 because of salary. Stating the workload doesn’t match the compensatory structure of his contract. That is just over the horizon but for now San Francisco is Super Bowl quality at the running back position. Receivers: Michael Crabtree finally emerged from the shadow cast by TE Vernon Davis in 2012. His play was the only consistent at receiver for the full season as the team changed quarterbacks. With 85 receptions for 1,105 yards and 9 touchdowns he became the go to guy. Going into his fifth season and third under Coach Harbaugh, he’s in his prime and should catch even more passes thanks to Kaepernick. When he scrambles to keep the play alive, Crabtree can work to get open even if he was initially covered. He could have a 100 catch season. Crabtree emerged as the big play receiver team execs envisioned when they drafted him out of Texas Tech. Our thoughts on the Randy Moss experiment in San Francisco are mixed. On one hand he helped some young players as a good locker room presence, and that veteran leadership may be most evident in Crabtree’s improvement. On the other hand it slowed the growth of last year’s major free agent acquisition in Mario Manningham. He never looked 100% last year and then was put on IR for the playoffs. Manningham in his second year in Harbaugh’s system should be thinking less and playing better. He and Crabtree could be twin 1,000 yard receivers depending upon Kaepernick’s continued development with TE Vernon Davis. It was Davis’ play that was most affected by the quarterback change from Alex Smith. In Smith you had the 3 to 5 step drop of a traditional passer and the tight end was the first outlet. Once Kaepernick and the Pistol became the team’s new staple, Davis was no longer that first option. Opposing linebackers don’t bite so fast on a fake hand-off from the Pistol and that made Davis need another step to get past them. If Kaepernick didn’t throw on time, Davis would then be covered by a safety. Evidence?? He only had 6 receptions in the final 6 games of the regular season. You can see the team worked hard on getting him back into the offense in the playoffs. He had 12 receptions in the postseason. A sign of good coaching. He should have a Pro Bowl year in 2013 and helps the 49ers receiving corps achieve a playoff grade. Offensive Line: This is a good offensive line and a look at their play down the stretch shows you how good they are. They can block in the phone booth of power running formations and out in space. The product of three #1 draft picks in LT Joe Staley, LG Mike Iupati, who were both Pro Bowl players, and young RT Anthony Davis to go with C Jonathon Goodwin and RG Alex Boone, this team is ready as a line. Aside from Goodwin the average age is 25.5 years of age yet they are improving. Understand they powered the way to 2,491 yards as a team as 5 players topped a 4.0 average and the team a 5.1 avg. That’s getting some push. With the removal of QB Smith they won’t give up 41 sacks again. Sometimes Smith held the ball from a pocket position and had to take the sack. With Kaepernick, there is a moving pocket with the Pistol offense and the running plays are designed to get the line in position to make initial blocks while the defense tries to figure out if the ball has been handed off to Gore, if Kaepernick kept the ball, or if it was a play-fake to pass the football. Pro Bowl Tackle Joe Staley should be around the 49er facility for a long time. Expect to see the 41 sacks and 68 quarterback hits of a year ago to be diminished in 2013. Only 8 of those came during Kaepernick’s 7 regular season starts. Maybe Coach Harbaugh knew what he was doing. In 2012 in power rushing play scenarios up the middle or to the strong-side, they powered for the first down or touchdown 78% of the time and 64% on the weak-side. They can run it in either direction and if you noticed during the Super Bowl, most of their 2nd half rushing yards came from running toward the weak-side. Including Kaepernick’s touchdown to narrow the score to 31-29 in the Super Bowl. This line will be Super Bowl calibur with the improved sack totals in regards to the quarterback evading sacks. Defensive Line: Contrary to popular belief this is where the 49ers need to make a move to upgrade. Last year we challenged they need to get more defensive line help to take the pressure and wear and tear off of DE Justin Smith. You saw him hampered by that huge elbow brace toward the end of the year despite his missing two games. Ray McDonald was solid with 38 tackles and 2 1/2 sacks but he needs help. They have to get Justin Smith some help since he’ll turn 34 this year despite the 65 tackles and 3 sacks. He’s at the point where he can get old on the 49ers in a hurry. The 49ers should spend a bulk of their draft on young defensive linemen. At least two selections. Right now the defensive line is average. Linebackers: This is where the defense gets it’s fangs from. It’s not even an argument the 49ers field the best set of linebackers in all of pro football. 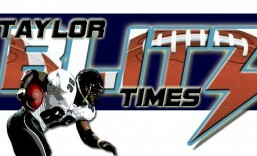 Starting with the reigning Taylor Blitz Times Defensive Player of the Year in Navorro Bowman. https://taylorblitztimes.com/2013/02/02/taylor-blitz-times-defensive-player-of-the-year-navorro-bowman/ He led the Niners in tackles for a second straight year with 144 tackles while posting 2 sacks, 1 interception, and defensed 6 passes. He was all over the place as was Patrick Willis (120 tackles / 2ints /1/2 a sack). Whether you think Willis is better than Bowman is irrelevant they are both young, in their primes and deadly. By the time we add Ahmad Brooks (47 tackles /6.5 sacks) and Aldon Smith (55 tackles /19.5 sacks) and you have the most active linebackers in football. Funny thing is everyone treats Smith as a pass rusher only, yet he was fourth on the team in tackles. Between Smith and Brooks they also contributed with an interception each and five forced fumbles. This is the best 3-4 set of linebackers since the mid 1990’s Blitzburgh unit. Definitely Super Bowl quality. They had better sign Dashon or they could have a glaring hole in the secondary if he signs elsewhere. 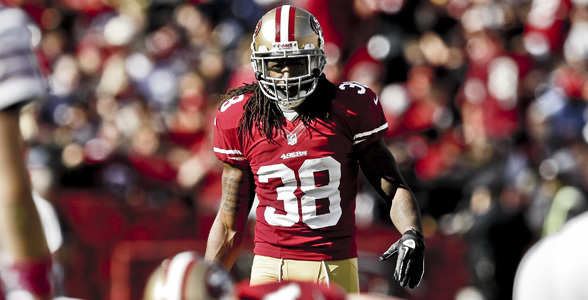 Secondary: Now that Dashon Goldson hasn’t been franchised both sides are hoping to work out a long term deal. The problem is free agency is about to start and you don’t want him talking to anyone. If someone blows him away with an offer a Pro Bowl safety tandem could be broken up. Goldson is among the best safeties in football. He defensed 10 passes, intercepted 3 and made 67 tackles. Many of which were of the bell-ringing variety. Donte Whitner is a prototypical SS who comes up to support the run and mug tight ends. He had 82 tackles, forced 2 fumbles and took his only interception back for a touchdown. It was on the corner where this team could improve. For a team that finished 4th overall allowing 294.4 yards per game, it’s now allowing 406 to go with the 35.6 points given up in those final 3 games before the finale. Now there is talk of bringing in Darelle Revis. We’ll see how that plays out but Carlos Rogers, Tarell Brown, and Chris Culliver had 5 interceptions between the 3 of them. Culliver was victimized in the Super Bowl and had a costly penalty to boot. A draft pick could be used here even if they get Revis. The corner situation drops this group down to average. This is the defense’s Achille’s heal. Overall: This team has to prepare to stay ahead of the curve of what they think defenses will throw at Kaepernick. The dark cloud that looms is the Seattle team up north that throttled them 43-12 late last season. There was a collective sigh of relief when Atlanta beat them in the divisional round. This team will face the most adversity within their division, which has become the toughest in football. Don’t forget the Rams were 1-0-1 against them last year. This entry was posted in 2013 Team Previews and tagged Colin Kaepernick, Dashon Goldson, Frank Gore, Free Agency, Michael Crabtree, Navorro Bowman, Patrick Willis, San Francisco 49ers, Vernon Davis. Bookmark the permalink.